Unleash the real power of social media to get the job you want; find a great new romantic relationship and 10x your travel experience. 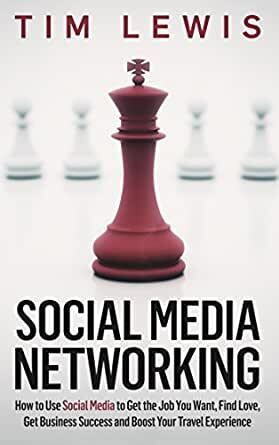 In this book, Tim interviews over twenty people about their experiences of using social media to get ahead in their lives. The real power of social media today is not secret strategies for selling products or becoming a fake influencer on Instagram but the ability to make connections that lead to getting ahead. Learn about Chris Strub's social media journey that lead to him touring all 50 states of the US and becoming an international speaker. I love this book by Tim Lewis. What I really like about this book is learning more about Tim and his transition from the IS world to publishing along with how social played a role along the way. Tim outlines great real-life examples through interviews with 20+ peers and professionals that have used social as a way to find a new career, opportunities, a partner, travel opportunities and so on. If you are new to social, Tim give some quick pointers on where to start and what social channels to expand it. This is a really good resource to have for real-life examples of social and how they have had a positive impact on others. A terrific book here from Tim! If someone is advertising that he or she has a quick way (a hack) to becoming internet famous, don't believe it. If you want to build a brand/business online (which you should), you should think slow and steady. One real relationship at a time. This takes time and energy but it creates real magic. Tim is a real example of this and the stories that he has put together here are powerful and engaging. Read the book, draw out the lessons for yourself, and then start applying them to social media networking. You will be glad you did! Tim Lewis does a great job of sharing stories and real world examples of how social media has helped people achieve success in business and in life through social media interactions. Tim also explains ways to get started and help you grow your network. 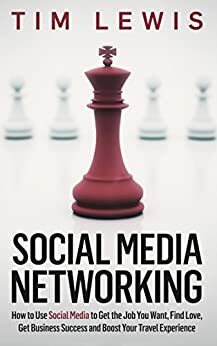 I actually have met the author and became friends with him prior to this book because of the power of social media networking.